The players collect gangsters, with the goal of collecting the higher-valued gangsters. 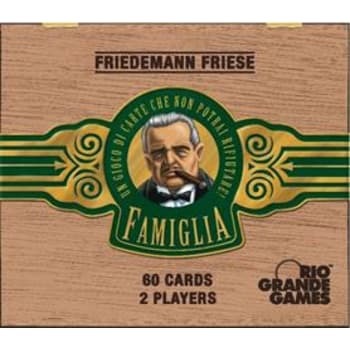 With the exception of the smallest gangsters (the "0" cards), a player normally needs two identical gangsters (same family, same value), to be able to take a gangster with the next higher value of the same family into his hand. When he does this, he places one of the smaller gangsters from his hand into his play area (the area near him on the table). To get the higher gangsters in a faster way, the player may use the special abilities of the different families, but at the cost of placing more gangsters in his play area. By doing so, however, a player may reduce his options and so must carefully plan these actions so that he can end the game with the most influential gang.